A country can not be truly independent unless it can manufacture the arms it needs to defend itself. Pakistan is just starting to build the weapons it needs but it has a very long way to go. This goal can only be achieved if Pakistan develops significant human capital and builds a vibrant economy. Last week’s statement announcing the prospective sale of eight F-16s to Pakistan follows a well-established pattern of the U.S. attempting to induce Pakistani action through incentivization. A few observations can be made to provide context around the proposed supply of F-16s to Pakistan. First and perhaps most obviously, the announcement comes at a time when the U.S. again seeks Pakistan’s cooperation in bringing the Taliban to the negotiating table with the Afghanistan government. A previous attempt at negotiations last year, under the aegis of Pakistan, ended abruptly when it was revealed that the Taliban’s reclusive leader, Mullah Omar, had been dead for over a year. It remains to be seen as to whether or not the Pakistanis wield sufficient influence over the Taliban, which is in the throes of an internal leadership struggle following the announcement of Mullah Omar’s death. However, the U.S. no doubt feels that it must do what it can to coax Pakistani action on the Afghan front. The thinking of the Obama administration appears to be that a promise to supply of F-16s, a key demand of Pakistan’s for some time, might induce favorable action from Pakistan. Second, U.S. concerns over Pakistan’s nuclear weapons program remain unabated. Indeed, even as the Obama administration appeared ready to supply the eight F-16s to Pakistan, the State Department’s deputy spokesman underscored U.S. concerns over the reported rapid growth of Pakistan’s nuclear weapons stockpile and its induction of the so-called tactical nuclear weapons (TNWs) to its arsenal. The U.S. has reportedly considered offering Pakistan a civil nuclear deal in exchange for its commitment to roll back its TNWs. It is not inconceivable then that the supply of F-16 fighter aircraft could be part of a broader U.S. approach to elicit commitments from Pakistan on Afghanistan and on nuclear security. Indeed, the Carter administration contemplated the sale of F-16s to Pakistan with the hope that it could convince Pakistan to scale back its nuclear weapons program. Third, the announcement underscores the transactional nature of the U.S.-Pakistan relationship, despite the rather curious language in the notification, which describes Pakistan’s as a “strategic partner.” The United States’ past dealings with Pakistan show that although Pakistan desires a more broad-based strategic relationship with the U.S. in order to effectively counter India, the relationship continues to be anything but strategic and is unlikely to transform into one anytime soon. Fourth, despite considerable strategic convergence between the United States and India in the Indo-Pacific, the announcement highlights that a gulf still exists between the two countries on Pakistan. The Indian government is unhappy with the sale, which will augment Pakistan’s nuclear delivery capabilities, and chided the U.S. for its perceived lack of sensitivity toward the potential threat the sale presents to India’s security. Many in India view the United States’ inducements as incentivizing Pakistan’s bad behavior in the region. And lastly, domestically, the announcement further brings into focus the schism between the Obama Administration and Congress on a host of issues, including foreign policy. The Obama Administration has since moved Congress for approval of the deal, but it is likely that it will run into opposition from lawmakers of both political parties. The Obama Administration could potentially invoke the national security waiver to override Congressional resistance over the supply of the F-16s to Pakistan. There is likely a sense of urgency in the Obama Administration and anxiety in Islamabad to conclude the deal prior to the U.S presidential elections in November. Few people realize it, but Pakistan currently boasts one of the most powerful air forces in the Middle East, including hundreds of Chinese F-7 fighter jets and French Mirages combined -- and nearly four dozen early model Lockheed F-16s (the most popular fighter jet on the planet). But as recently revealed in a notification to Congress by the U.S. Defense Security Cooperation Agency (DSCA), the Pakistani air force is about to tip more heavily toward the F-16, thanks to an impending sale of eight new F-16 "Block 52" Falcons. As revealed in the notification, Pakistan has asked Congress to approve the sale of two new F-16C fighters and six F-16Ds. Each aircraft will be powered by United Technologies' (NYSE:UTX) F100-PW-229 turbofan engine. Including the cost of a set of helmet-mounted cueing systems for the pilots, this portion of the sale comes to $564.7 million in value -- about $70.6 million per fighter jet. The remaining 20% of the deal's value, according to DSCA, is made up of non-"Major Defense Equipment" not subject to the federal government's notification requirements. Comprising radar systems and defensive electronic warfare (EW) equipment for the planes, plus "spare and repair parts, support and test equipment, publications and technical documentation, personnel training and training equipment, U.S. Government and contractor engineering, technical and logistics support services," this portion of the sale comes to $134 million in value. Curiously, although Lockheed Martin is providing the planes that are both the core of this arms deal and also the most expensive equipment, Lockheed will not necessarily be named primary contractor. DSCA says, "Contractors have not been selected to support this proposed sale." With Northrop Grumman (NYSE:NOC) building the radar, Harris Corporation (NYSE:HRS) the EW equipment, and United Technologies the engines, it seems it's at least possible the Pentagon will ultimately run the contract through one of these three -- and leave Lockheed Martin the role of subcontractor! Even if the Pentagon does choose a company other than Lockheed to handle the sale, however, this deal promises to be very good for Lockheed. The reason is contained in a single line buried within DSCA's notification, noting that "this sale will... support transition training for pilots new to the Block-52." The implication of this statement seems to be that the sale of eight new-model F-16s to Pakistan may be only a prelude to a larger deal to upgrade Pakistan's 46 older F-16s with more advanced models. Given that such a sale could rise into the billion-dollar-plus range, we'll be watching developments here closely. The arrival of General Raheel Sharif in the Chinese capital on Monday — a day after India successfully tested an interceptor missile designed to destroy incoming nuclear capable missiles — follows a report by the Pentagon warning that China is seeking to establish a naval base in Pakistan. Chinese companies have helped Pakistan build the port of Gwadar on the Arabian Sea, the centrepiece of the $46bn pledged by Beijing for infrastructure spending linking China to Pakistan, known as the China Pakistan Economic Corridor. Many observers believe that China will ultimately seek to use the port as a naval base. However, both Pakistani and Chinese officials said their understanding of the economic corridor is that it is limited to economic co-operation and has no security component. While in Beijing, Gen Sharif met Chinese premier Li Keqiang and held talks with Fan Changlong, vice-chairman of the Central Military Commission, which oversees the country’s military. Pakistan has long viewed China has a counterweight to its historic enemy, India. There are concerns in Islamabad that this week’s interceptor missile test may tip the balance of power between the two nuclear armed neighbours in India’s favour. “In times of difficulty, Pakistan has always turned to its close friend China for help. I am certain the Indian test came up for detailed discussions between General Raheel Sharif and the Chinese,” a senior Pakistani foreign ministry official said. Gen Sharif’s visit to China follows a recent squabble between Pakistan and Washington over congressional objections to US funding for eight new F-16 fighter jets meant for sale to Islamabad. Following the spat, Pakistani officials said they were considering alternatives such as the Chinese J-10 for future purchases. Pakistan is already by far China’s main client for arms exports. India and France finally inked the Rafale deal of more than 8 billion dollars. French Dassault Aviation will provide 36 Rafale MMRCAs to Indian Air Force. The first aircraft will be delivered after 3 years and all 36 systems will be delivered within a time of 3 years after it. Rafale is no doubt a proven 4.5th generation aircraft which will enhance the capabilities of Indian Air Force but in my humble opinion, the delivery time is so late that it will not create much effect against Pakistan. 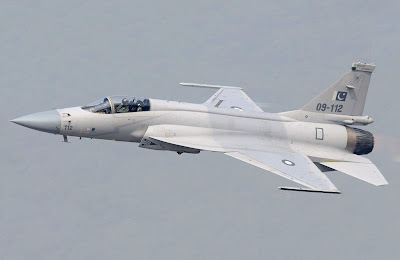 Our own JF-17 Thunder will introduce its Block 3 within a year or two and its specifications will be enough to counter any 4.5th Generation aircraft. As expected, JF-17 Thunder Block 3 will be upgraded to an AESA radar with additional IRST features. Its payload and range will also be enhanced due to which it will offer a deterrent against Rafales in Indian colours. Moreover, Thunder will be a more mature platform after 6 years as Rafale will be in a process of integration. Pakistan should invest more into JF-17 Thunder project as it is the destiny of PAF. It can fulfill our defense needs till year 2050. 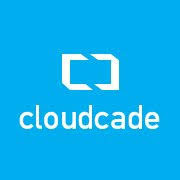 Thunder will be evolved into a much better platform in the coming years as it will be matured. Current Pakistani Air Force is having almost 80 F-16s in its inventory and these F-16s serves as our mainline fighter. Nearly 100 JF-17s already joined PAF in different squadrons and it will ultimately achieve the desired number of 250 very soon insha’Allah. These 2 aircrafts are categorized in 4th generation fighters due to which their specifications serves the needs of modern times. Apart from these 2 different platforms, PAF also has 3rd generation old Mirages and F-7s which are near to retirement and they will be replaced by upcoming batches of JF-17 Thunder. 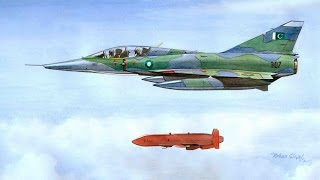 My focus is on the comparison of JF-17 Thunder with the future inductions of our adversary. Indians planned to acquire 136 Rafales from France but ended up signing a deal for the purchase of mere 36 systems. First Rafale will arrive India in 2019 and last one from this deal will be delivered after the 3 years of first deliveries if everything goes well for both countries. I am comparing a 4th generation lightweight fighter aircraft of PAF with a 4.5th generation medium-weight fighter aircraft of Indian Air Force but with a reason. The block 3 of JF-17 will have some advance features as discussed above. It will be able to challenge any modern 4.5th generation aircraft and still our Block-52+ and Thunder Block-II are potent to bring down 4.5th generation jets because they are in the hands of PAF professionals. Our Air Force already proved their mettle in international exercises by beating advanced EF-2000s of different Air Forces with their earlier generation F-16s. Technology surely matters but the man behind gun also matters and matters most. Pakistan formally started JF-17 Thunder project in 1999 with 50:50 shares of both China and Pakistan. The aircraft flew within a record time and took its maiden flight in 2003. Pakistan Air Force is reaping the fruits of the seeds which they planted about 18 years ago. JF-17 Thunder is serving as a major force multiplier for all tri-services of Pakistan. Its 100 units which are produced till now are a strong deterrent against costly aircrafts of our enemy which it purchased in billions of dollars where our homegrown jet is in our budget and we have total control over it. It is evolving and will have the capacity to adjust according to the changing threat spectrum. Its future blocks will be able to protect Pakistani skies against all kinds of medium and heavy-weight 4th, 4.5th and 5th generation jets. US Senator Larry Pressler whose infamous Pressler Amendment forced Pakistan to diversify arms sources and seek self-reliance in arms production is BACK! Suggesting that both India and the US conduct pre-emptive strikes inside Pakistan to destroy its nuclear sites (where weapons have either already been stored or are being made), former US Senator Larry Pressler told TOI on Monday that Donald Trump may turn out to be the best American president yet for India as he had recently put Pakistan on notice for harbouring terrorists. Under Project Azm, AvDI – which is part of PAC – was tasked by the Pakistan Air Force (PAF) to design and develop a medium-altitude long-endurance (MALE) UAV. While preliminary and tentative, AvDI’s mock-ups broadly mirrored the MALE UAVs being produced in China and Turkey, such as the Wing Loong as well as CH-4 and the Anka, respectively. However, technical specifics such as prospective powerplant, payload, hardpoints and weaponization were not disclosed. In December 2017, the PAF CAS reportedly stated that the AvDI MALE UAV will materialize in 18 months. The PAF Chief of Air Staff (CAS) Air Chief Marshal (ACM) Sohail Aman formally announced Project Azm in July 2017 in the inauguration event of the Kamra Aviation City complex, which is envisaged as the home of PAC, AvDI, Air University and other state-owned and potentially private sector aviation companies. Recently, analysts belonging to the Center for Study of the Drone at Bard College, New York identified a Chengdu Aircraft Industry Group (CAIG) Wing Loong UAV stationed at PAF M.M. Alam in Mianwali by using commercial satellite imagery. It appears that the Wing Loong arrived to Mianwali in late November 2017. Currently, it appears that Pakistan is continuing its tests of the Wing Loong, having flown it through 2016 under “experimental flights.” CAIG is also test-flying the improved Wing Loong II, which has a payload of 400 kg, top speed of 370 km/h, service ceiling of 30,000 ft and endurance of 32 hours. The Chinese press claim that the Wing Loong II secured its launch export orders before its flight, but it is unknown who has the drones on order, though it is said to be the largest overseas sale of Chinese drones to-date. The PAF’s UAV attack UAV is the Burraq, produced by the National Engineering and Scientific Commission. It can carry up two laser-guided air-to-ground missiles. Thus far, it appears that the PAF has been using the Burraq for time-sensitive and/or targeted strikes as part of its counterinsurgency (COIN) and counter-terrorism (CT) operations. The PAF has been using the Leonardo Falco and General Industrial & Defence Solutions (GIDS) Shahpar for intelligence, surveillance and reconnaissance (ISR) in its COIN/CT operations. Pakistan began inducting the Falco in 2009 under a co-production agreement involving PAC and Leonardo. The Falco has a payload of 25 kg available for electro-optical and infrared (EO/IR) turrets. The Falco was later joined by the Shahpar, which has a payload of 50 kg and endurance of seven hours. The introduction of MALE UAVs – be it the Wing Loong-series or a potentially original design by PAC and AvDI – would provide the PAF with increased attack capabilities and ISR coverages through the use of its drones. It could also spur the introduction of using heavier munitions, such as 100 kg precision-guided bombs, from drones. This would extend the use of these aircraft from time-sensitive strikes and targeted attacks against individuals to close air support (CAS)-level missions in COIN/CT, such as attacking moving vehicles and neutralizing enemy firing positions. In terms of ISR, the PAF can equip these new drones with synthetic aperture radars for real-time image intelligence and use ground-moving target-indication for target acquisition – this information could be provided to other airborne and/or land units via data-link. Pakistan can leverage the endurance of a MALE UAV to sustain a ISR coverage unit for a longer time period. Chinese officials have repeatedly said the Belt and Road is purely an economic project with peaceful intent. But with its plan for Pakistan, China is for the first time explicitly tying a Belt and Road proposal to its military ambitions – and confirming the concerns of a host of nations who suspect the infrastructure initiative is really about helping China project armed might. As a strategically located and nuclear-armed neighbour, Pakistan has been the leading example of how the projects are being used to give Beijing both favour and leverage among its clients. Since the beginning of the Belt and Road Initiative in 2013, Pakistan has been the program's flagship site, with some $US62 billion in projects planned in the so-called China-Pakistan Economic Corridor. In the process, China has lent more and more money to Pakistan at a time of economic desperation there, binding the two countries ever closer. For the most part, Pakistan has eagerly turned more toward China as the chill with the US has deepened. Some Pakistani officials are growing concerned about losing sovereignty to their deep-pocketed Asian ally, but the host of ways the two countries are now bound together may leave Pakistan with little choice but to go along. Even before the revelation of the new Chinese-Pakistani military co-operation, some of China's biggest projects in Pakistan had clear strategic implications. A Chinese-built seaport and special economic zone in the town of Gwadar is rooted in trade, giving China a quicker route to get goods to the Arabian Sea. But it also gives Beijing a strategic card to play against India and the US if tensions worsen to the point of naval blockades as the two powers increasingly confront each other at sea. A less scrutinised component of Belt and Road is the central role Pakistan plays in China's Beidou satellite navigation system. Pakistan is the only other country that has been granted access to the system's military service, allowing more precise guidance for missiles, ships and aircraft. The co-operation is meant to be a blueprint for Beidou's expansion to other Belt and Road nations, however, ostensibly ending its clients' reliance on the US military-run GPS network that Chinese officials fear is monitored and manipulated by the US. In Pakistan, China has found an amenable ally with much to recommend it: shared borders and a long history of co-operation; a hedge in South Asia against India; a large market for arms sales and trade with potential for growth and a wealth of natural resources. "The focus of Belt and Road is on roads and bridges and ports, because those are the concrete construction projects that people can easily see," said Priscilla Moriuchi, director of strategic threat development at Recorded Future, a cyberthreat intelligence monitoring company based in Massachusetts. "But it's the technologies of the future and technologies of future security systems that could be the biggest security threat in the Belt and Road project." For the Pentagon, China's satellite launches are ominous. "The [Chinese military] continues to strengthen its military space capabilities despite its public stance against the militarisation of space," including developing Beidou and new weaponry, according to a Pentagon report issued to Congress in May.